Lot:8002 1787 Nova Eborac Copper. Breen-987, W-5760. Rarity-3. Seated Figure Facing Right. EF-40 (PCGS). 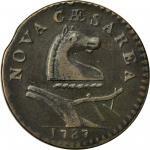 1787 Nova Eborac Copper. Breen-987, W-5760. Rarity-3. Seated Figure Facing Right. EF-40 (PCGS).111.9 grains. Glossy faded and chocolate brown form a nice visual contrast between the recesses and devices. 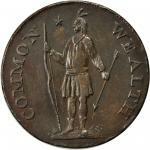 Ever so slightly granular up close and with a couple of microscopic scratches on the effigy’s face, but the coin is glossy and very attractive overall. Centered slightly right on the obverse, and virtually perfect on the reverse in this respect. 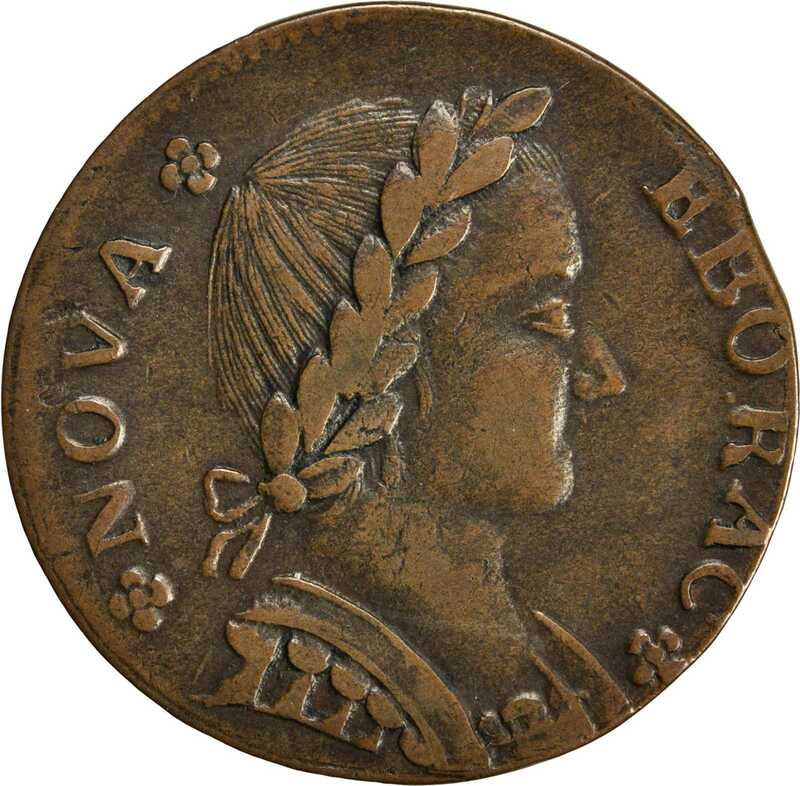 One tiny natural clip is noted over the B of EBORAC, slightly cutting the top of the B. A prominent rim break on the reverse right of Liberty’s feet, as usual, seen here in the later state as a fully developed cud. Struck from the same obverse die used on the variety offered above, this is the scarcer of the two.From the Twin Leaf Collection of Connecticut & Massachusetts Coppers. Earlier ex Anthony Terranova, 2001.